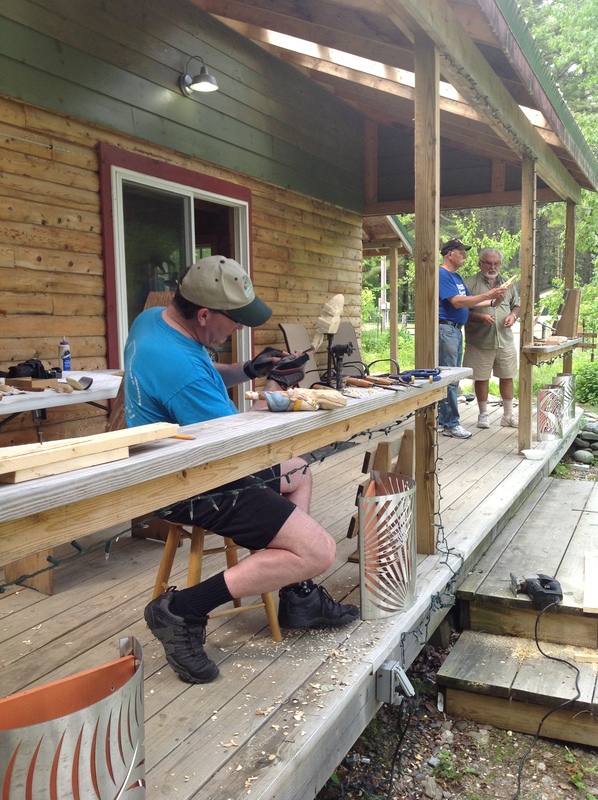 Wood Carving Camp with an Acadian Flair – June 27-29 – Maine. Ocean. Camping. Master woodcarver Tom Cote, of Limestone Maine, and Searsport Shores Ocean Campground are happy to announce the first annual Wood Carving Camp with an Acadian Flair June 27-29, 2014 in Searsport, Maine. The weekend celebration is the culmination of the Cote Family week long residency at the campground. Wood Carving is a family affair in the Cote clan reaching back many generations. Tom’s Grandmother was a Master Woodcarver and the tradition continues to be a passion even for the youngest in the family. 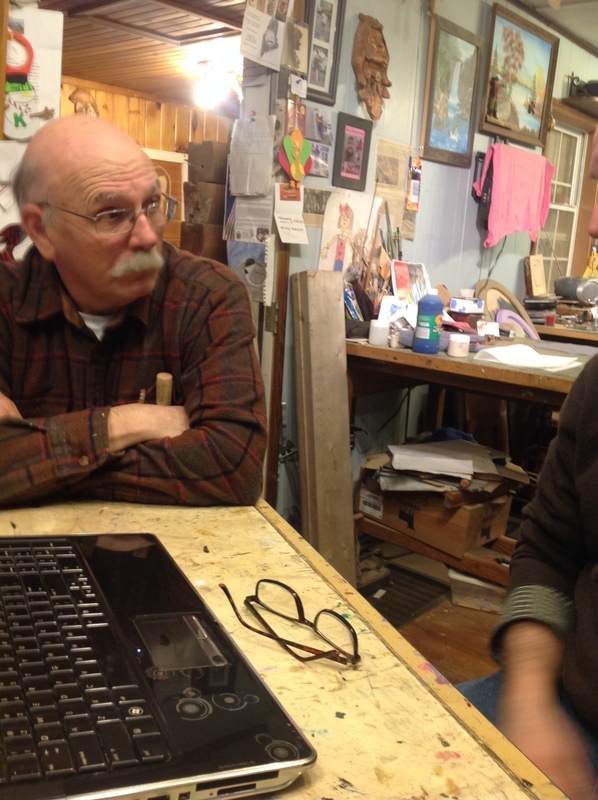 Tom will be joined by several family members at Wood Carving Camp. Tom’s nephew, Marcel Martin, will be traveling down from Ottawa. 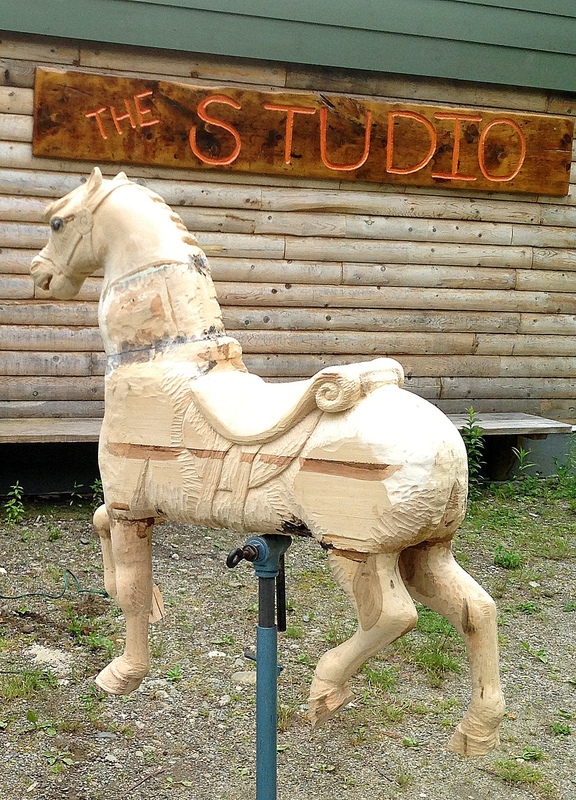 Tom’s son Kirk Cody will demonstrate the Shop Bot, a unique computerized wood shaping machine and Granddaughter, Elizabeth (age 17), will be working on the finishing touches of a Carrousel Horse that she has been carving for 3 years! Wood Carving Camp will offer a variety of workshops, Carving Wood Spirits, Club Ducks (using golf club as a starting point) and a Surprise workshop! Demonstrations in tool sharpening, and the Shop Bot. Everyone has a great time at Wood Camp! All are invited to bring tools and celebrate woodworking traditions by displaying and selling their work, offering/taking $5/hour classes and sharing their experiences over a Saturday night potluck supper and hootenanny. The Acadian bread oven will also be fired up during the weekend. Come stay and carve for the week of June 23, and be sure not to miss Wood Carving Camp on Friday, Saturday, Sunday June 27-29. Any participants (teachers, students and musicians) are welcome to a discounted camping rate of $35 for tents and $45 for trailers. Day visitors are welcome to participate any time during the week for $12/day (class fee not included). Teachers are encouraged to give Tom a call to discuss workshop/class ideas at (207) 325-4258. For questions about camping or participating in Wood Carving Camp please contact Searsport Shores at 207 548 6059 or relax@campocean.com.